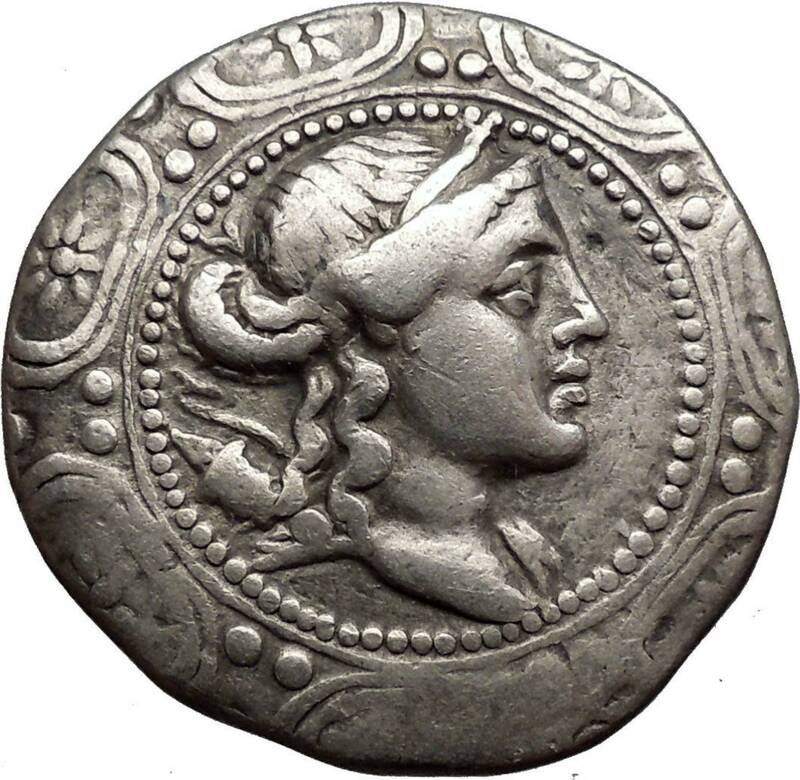 Silver Tetradrachm (31mm, 16.65 gm.) Struck 158-149 B.C. Reference: S. 1386v.. BMC 587. Macedonian shield, at center of which but of Artemis Tauropolos right; bow and quiver at her shoulder. to left of which, thunderbolt. From the reopening of the silver mines to the revolt of Andriscus. Founded by Athenians in 436 B.C. to protect their mining interests in the north, Amphipolis surrendered to the Spartan general Brasidas in 424. 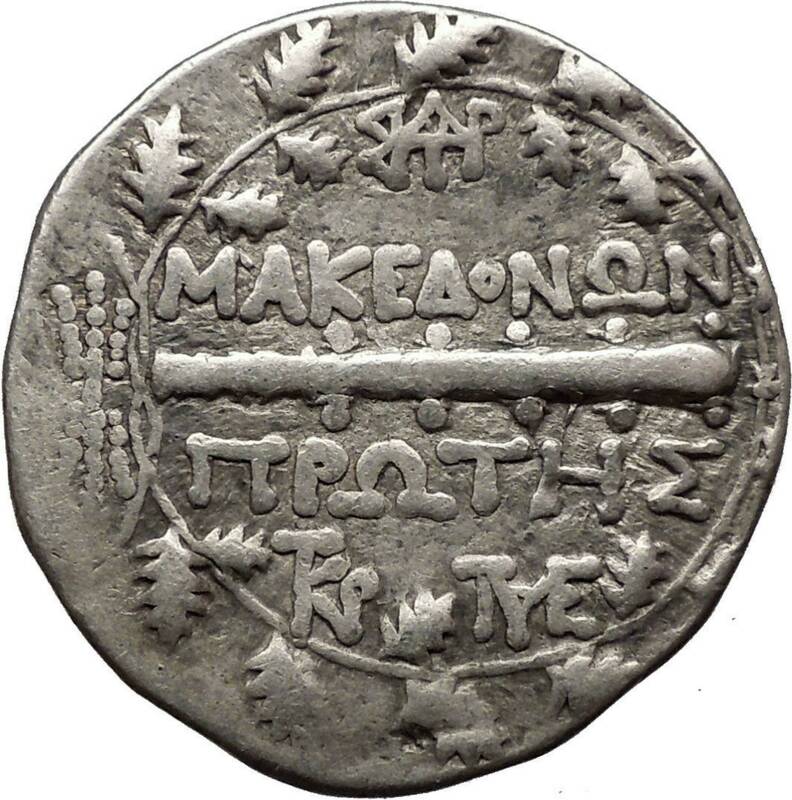 The city preserved its independence until 357 when it was captured by Philip II, King of Macedon.